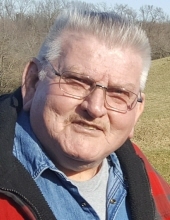 Roger W. Schultz, age 78 of Sauk City, WI formerly of Grant County, WI passed away unexpectedly on Friday, February 1, 2019 at his home in Sauk City. He was born October 7, 1940 in Paris Township near Dickeyville, WI the son of Clarence and Viola (Udelhoven) Schultz. Roger grew up in Livingston, WI where he lived from 1942 – 1950 when the Schultz family moved to Platteville, WI. He received his GED and later joined the United States Navy in 1957 at the age of 17. He served with the 7th Fleet, USS Thetis where he spent a year traveling the Pacific. He was honorably discharged in 1960. Following his return from the Navy, he began working for Prestress Concrete in Verona, WI where he learned his trade of welding. In 1965, Roger started working for Iron Workers of Madison while attending night school for welding. He was a certified welder in 7 different states and traveled all over the country practicing his trade. Roger was united in marriage to Janice McKarive on July 4, 2000 in Peoria, IL. Roger is survived by his first wife: Beverly Schultz, 7 children: Tim Schultz of Deerfield, WI, Tom (Michelle) Schultz of Barneveld, WI, Randy (Katie) Schultz of Dubuque, IA, Jeff (Denice) Schultz of Sun Prairie, WI, Tina (Mike) Fiedler of Stitzer, WI, Tamala (Keith) Menges of Brillion, WI, and Vicki Schultz of Madison; 21 grandchildren; 7 great-grandchildren; and three brothers: Raymond (Barb) Schultz of Cuba City, WI, Robert (Janice) Schultz of Darlington, WI, and Gary (Dolores) Schultz of Phoenix, AZ. He was preceded in death by his parents; his wife Janice in 2009; one daughter: Heidi Schultz in infancy; and one grandson: Shawn Fiedler in infancy. Roger was a member of Lutheran Memorial in Madison, WI. He was also a proud member of Masonic Lodge #0064 of Darlington and 383 Iron Workers of Madison. Roger enjoyed fishing, hunting deer, pheasants, and rabbits, gardening and canning the vegetables he grew, baking, and cooking. He enjoyed watching collegiate and high school sports, especially those that his children and grandchildren were involved in. He cherished his family and the memories they made together more than anything else in the world. He will be sadly missed and fondly remembered by his family and friends. A visitation for Roger will be held Thursday, February 7, 2019 from 4:00 P.M. until 8:00 P.M. at Erickson Funeral Home (508 Main St., Darlington). A private family graveside service will be held at a later date. Online condolences may be expressed to the family at www.ericksonfuneralhome.com. In lieu of flowers, a memorial fund has been established in Roger’s name. To send flowers or a remembrance gift to the family of Roger W. Schultz, please visit our Tribute Store. Memorials may be written out to "the family of Roger Schultz"
"Email Address" would like to share the life celebration of Roger W. Schultz. Click on the "link" to go to share a favorite memory or leave a condolence message for the family.